Below are the collections you may select from for your maternity session. A $100 deposit & signed contract are required to secure your date. The remaining balance of the collection you select will be due at the time of your session. All collections are subject to 8.75% NYS tax. My mom-to-be’s have exclusive access to use dresses from my maternity dress client closet. There are a variety of sizes to select from. If you believe you may need a size I currently do not offer, please just let me know and I will arrange to have a beautiful dress for your use. 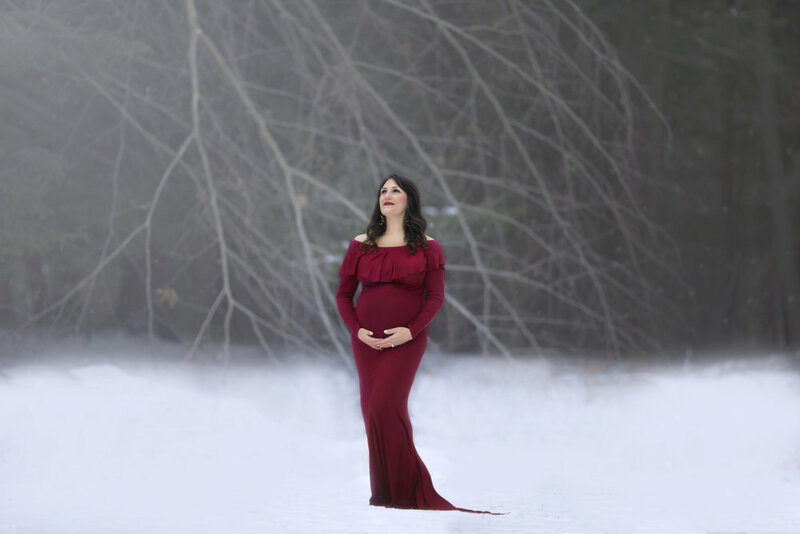 My maternity sessions focus on creating ethereal, magical, breath-taking images. Sessions will result in 10 carefully and artistically hand-edited images. Your collection will either include all 10 final edited images or your selected favorites. What this means is that those chosen files are yours to keep and you will receive a print release which will allow you to reprint these images as you wish. I will gladly recommend a company for you to print through to make sure your images look as beautiful as they were intended to. Otherwise, below are the collections for you to view. If you have any questions please let me know. As an artist it is important to me that my families leave this experience with something beautiful they can hold in their hands or view on their walls. *For the image box I am now offering your choice of Walnut (shown) or select from Gray, Black, or Birds Egg Blue Leather. If you have any questions on the collections and what is included, please do not hesitate to ask. If you’re ready to schedule your session just get in touch so we can begin the fun planning process.